You are constantly undergoing changes in your life. Don't fight against change -- instead, guide life changes in a direction that benefits you. Life is lived in the mists - little is fully visible, less is certain. Yet rejoice in the unknowing, and let all of life be a wonderful adventure. Be grateful for the blessings and accept the rest as important lessons. Sometimes change is about action, and sometimes change is about one's relationship with life. You can't change the past. You can't undo any actions you took or failed to take. Your only choice today is either to waste energy and emotion on regrets and resentments, or to treat your own past like a history book - an interesting, but emotionally neutral, recitation of ancient times. Life change comes about in two complementary ways - the "aha" moment, which occurs in a flash of insight, and the conscious redesigning of habitual behaviors, which is a lifelong project. with the unforeseeable and the unpredictable. 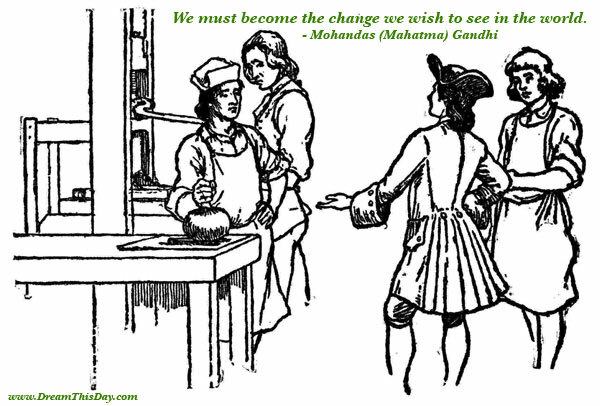 Thank you for visiting these quotes on change. Also see Life Changing Quotes, Perseverance Quotes and more Quotes about Change.